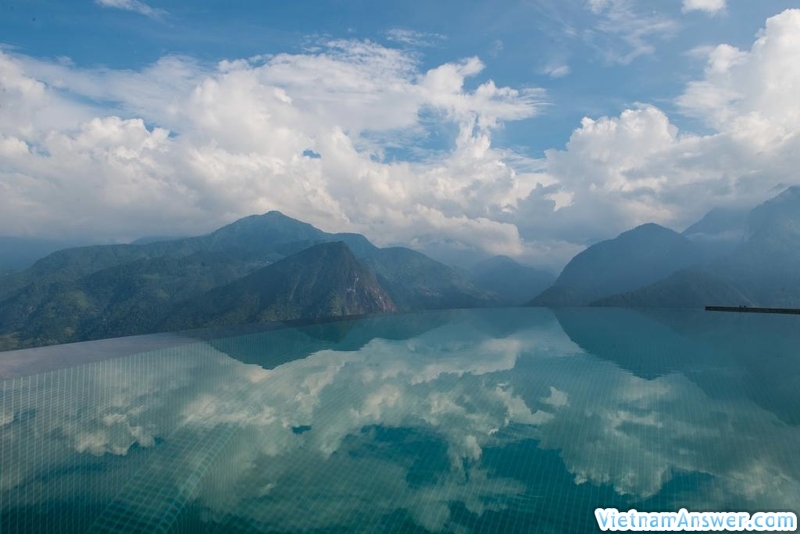 Just in operation in mid-2017, the infinity pool at Topas Ecolodge quickly causes a fever everywhere thanks to the beautiful and full view of the majestic Hoang Lien Son Range. 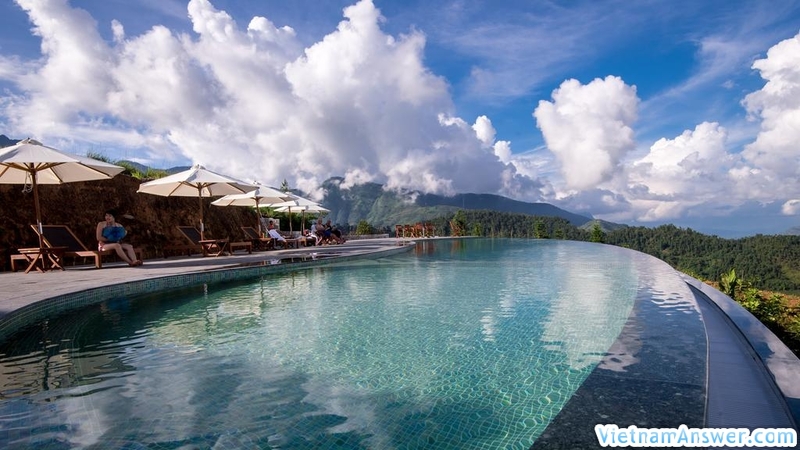 The infinity pool is designed for children's section, with massage function and special, pool water is heated. 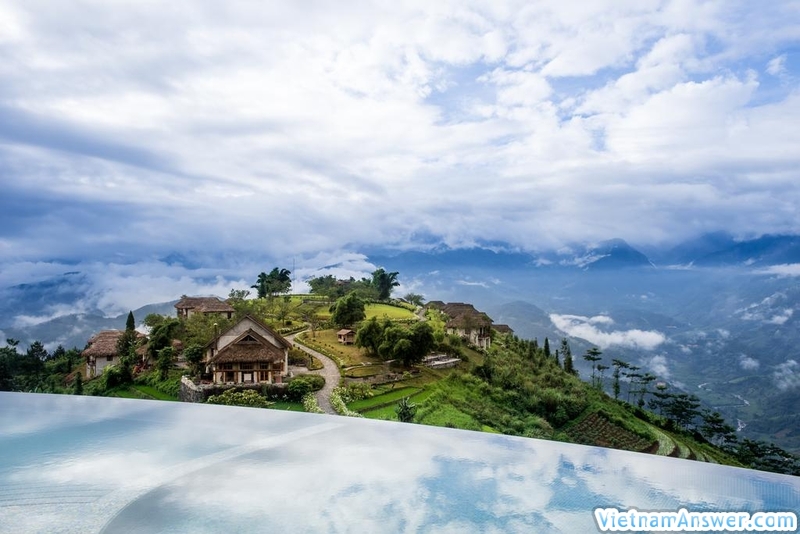 Make sure you can relax in the clouds of Sapa Mountain. 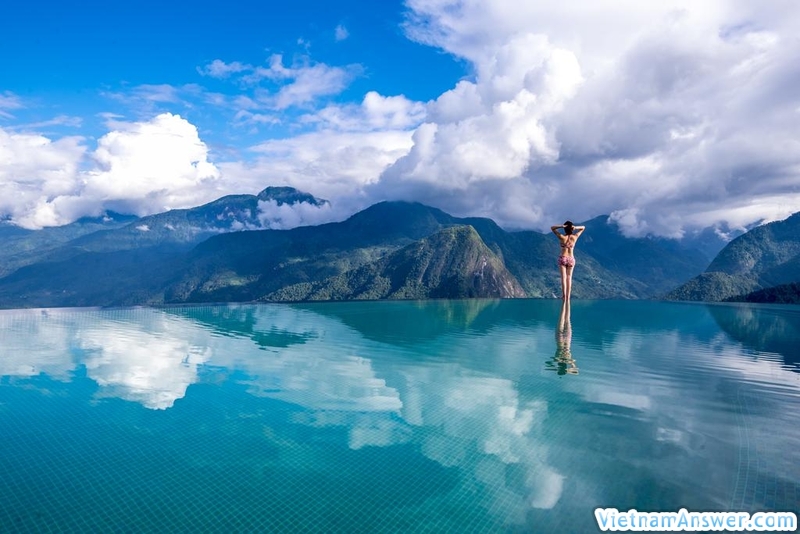 Water is constantly being heated by an environmentally friendly system that uses energy savings of more than 85% over standard technology. 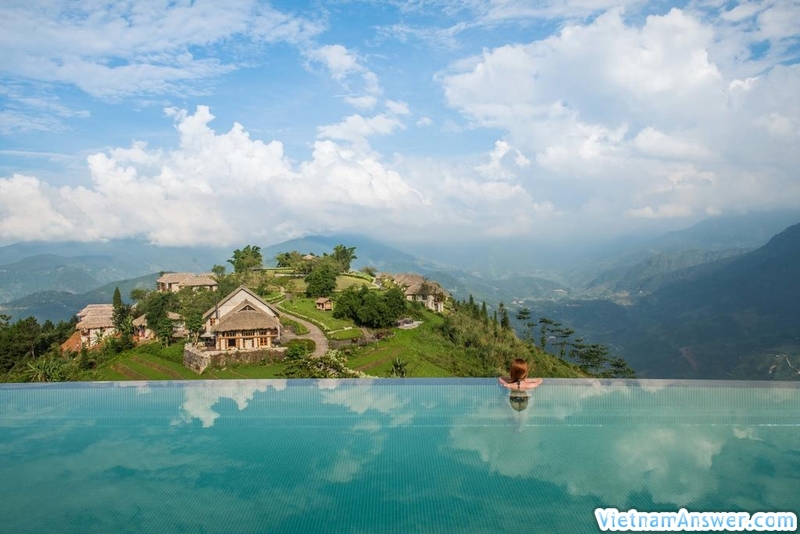 The pool is set between terraced fields, on the main building of the inn, just a few steps from the bar and spa. 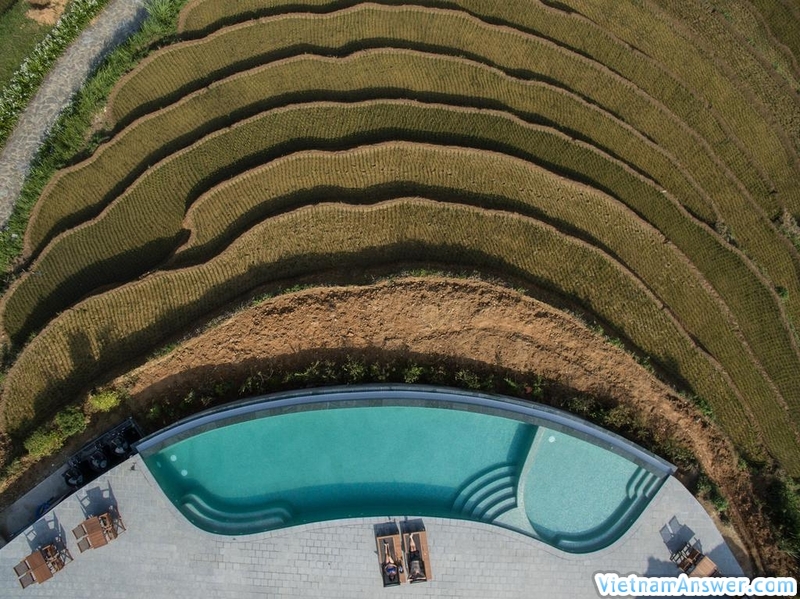 If you are not a guest at Topas Ecolodge, you can still use the swimming pool from 10am to 4pm and purchase the "Day Pass" tour sold at the resort's office for VND500,000 / adult and 250,000 VND / child. 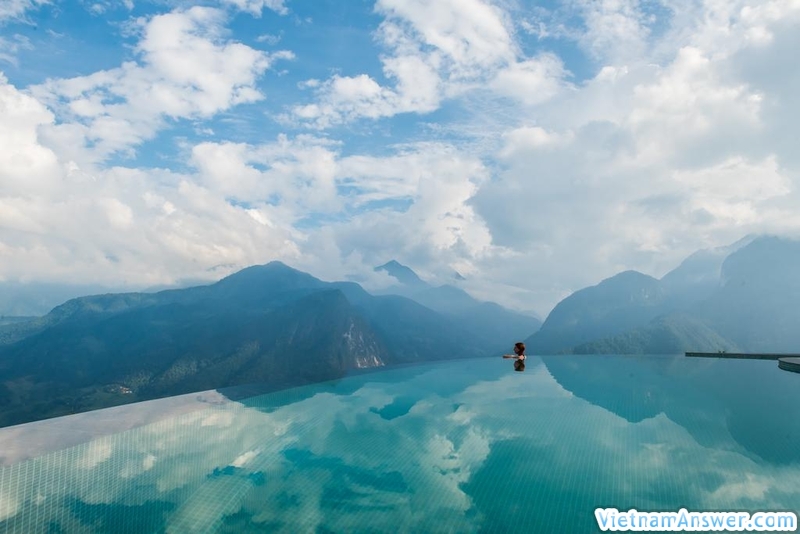 - Price does not include entrance fee (75,000 VND / person). 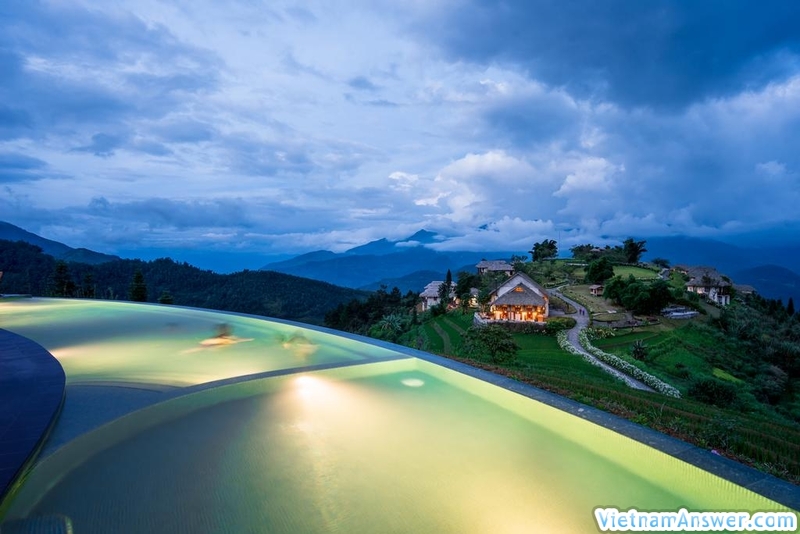 - Tour not available at Topas Ecolodge. 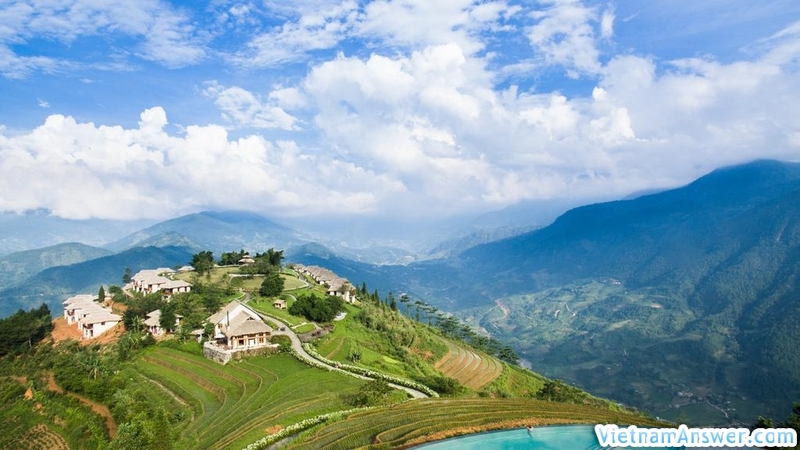 Topaz Ecolodge Resort Sapa is an eco resort located on the top of a conical hut with beautifully curved winding roads that will make it easy for travelers Enjoying nature, discovering the cultural life of local people, all worries will seem to disappear, giving back the soul of comfort and peace. 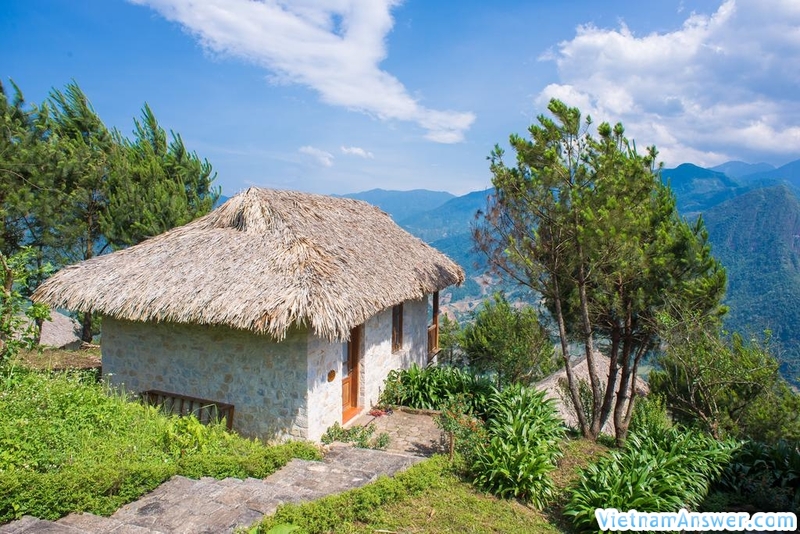 Topas Ecolodge is built as an ecological resort, with the aim of leaving you away from the hustle and bustle of urban life to get closer to nature. 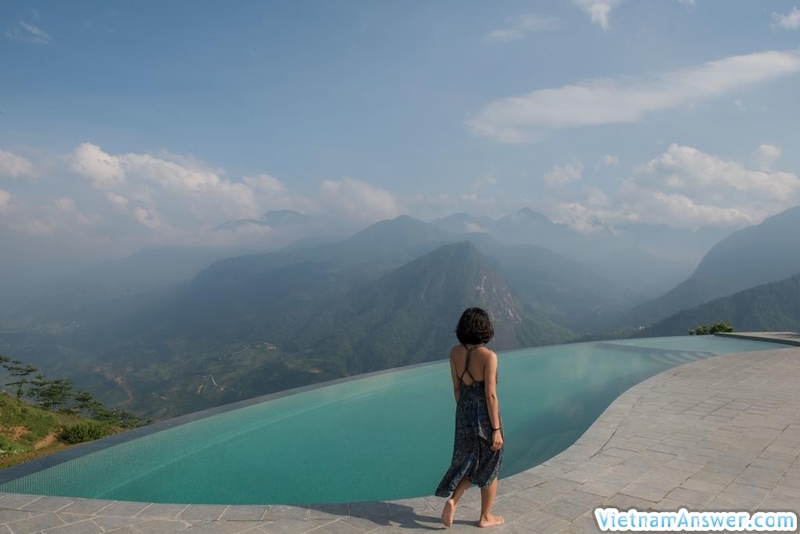 The Topas Ecolodge Resort Sapa is designed with 25 small villas set up around the mountainside and at the top of the mountain, creating an intersection of rocky paths, each villa. 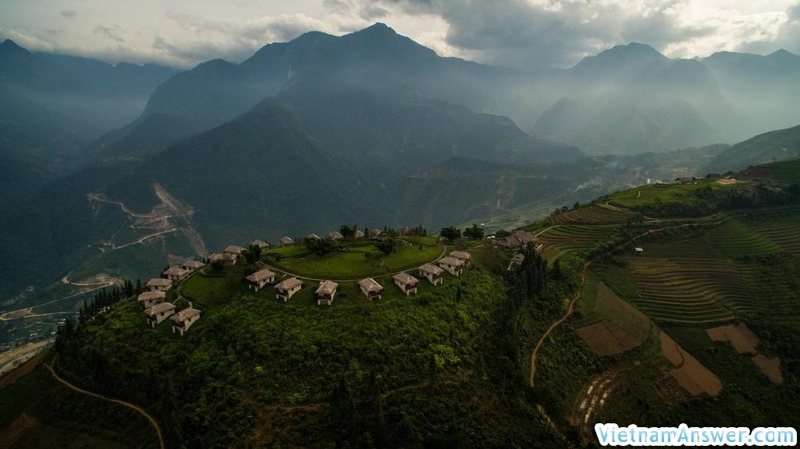 They are equipped with windows and parapets with views in the direction. 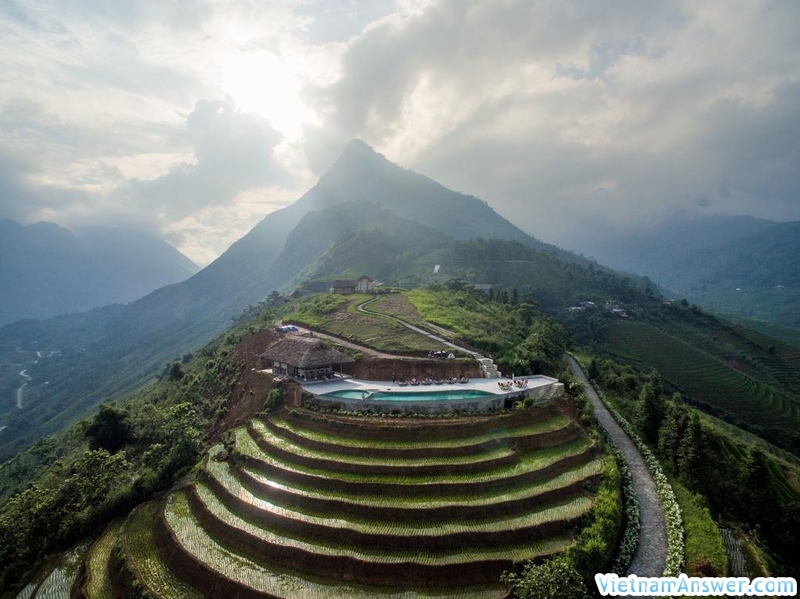 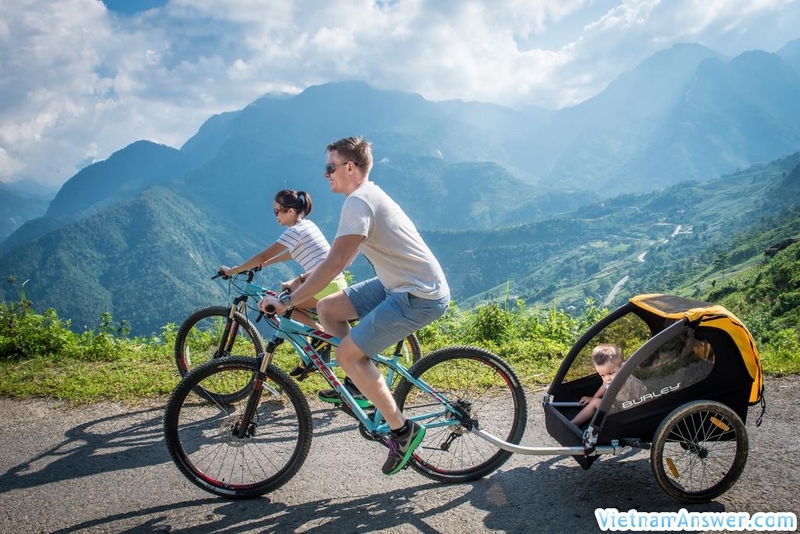 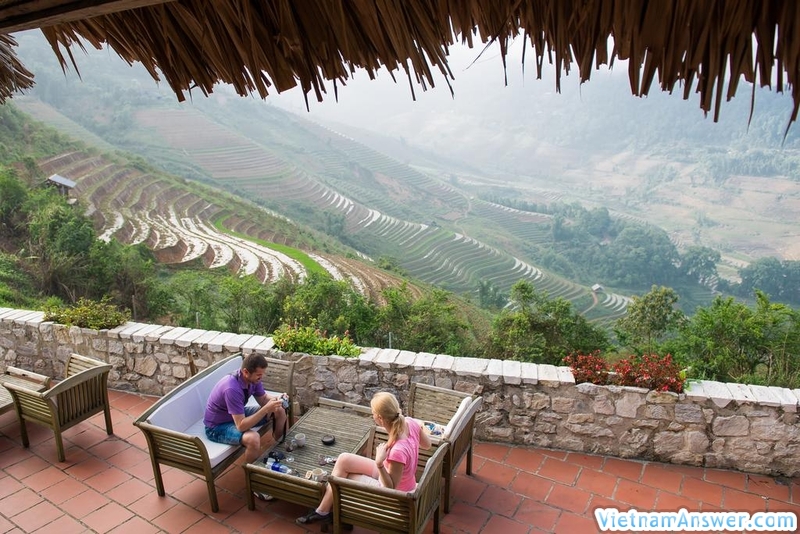 From here, visitors can admire the view of the romantic Muong hoa valley covered with green terraced rice fields along the Muong Hoa stream winding around the foot of the mountain or stretching out the air to welcome the sky and quiet scene. 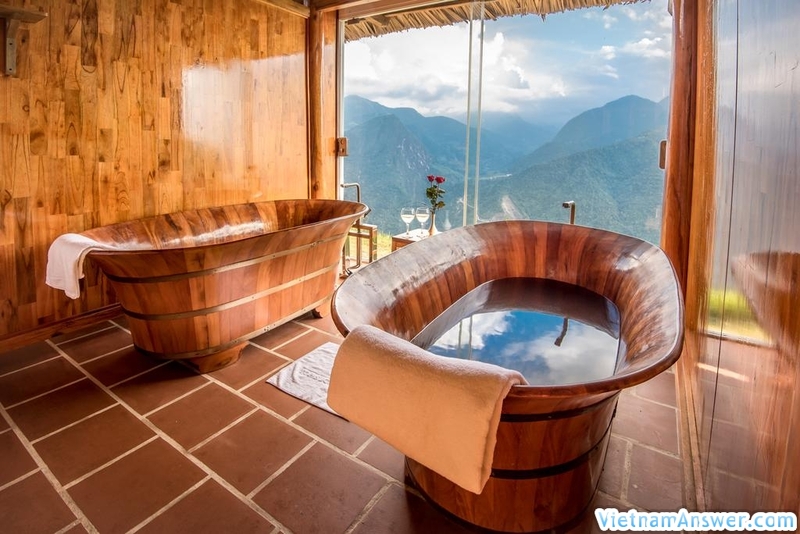 Here, the soul of the visitors will become very refreshing. 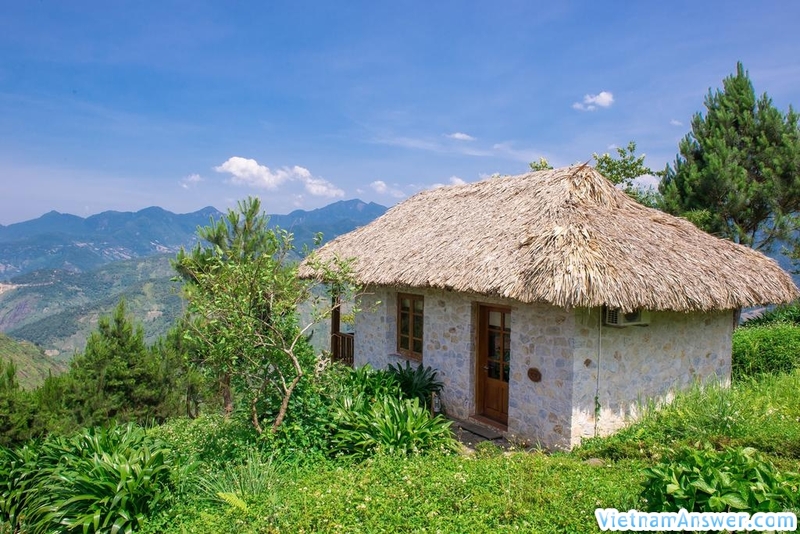 All villas at Topas Ecolodge Resort Sapa are completely built entirely of white granite, roofed with palm leaves. 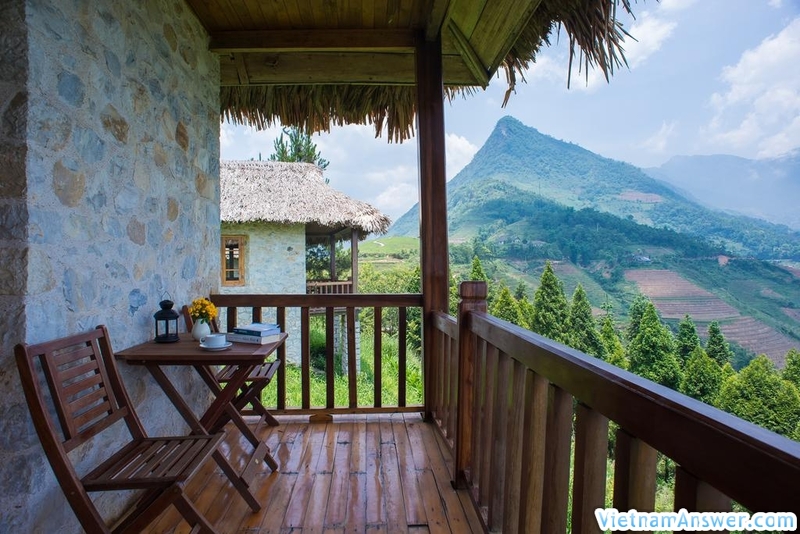 The interior of the house is made entirely of wood, rattan and bamboo, with many items made of stone ... with a harmonious and simple layout, making the guests feel cozy, romantic but no less rustic. 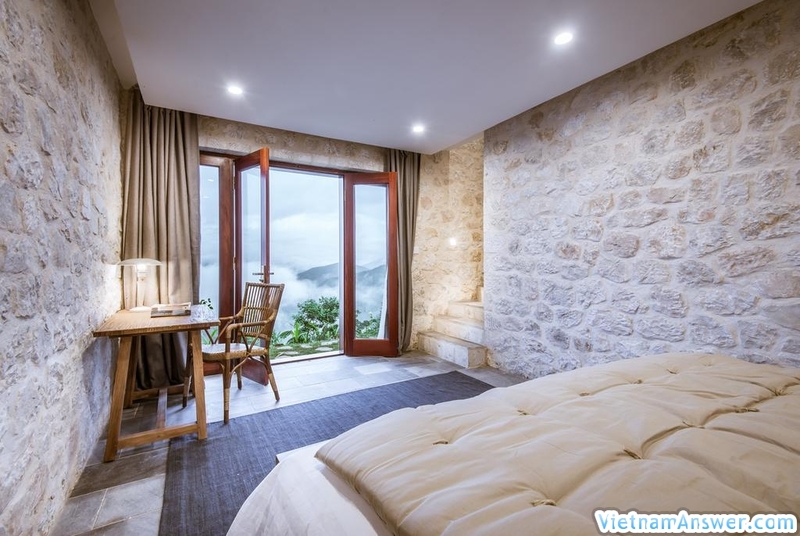 , simple and close to nature as soon as entering the room. 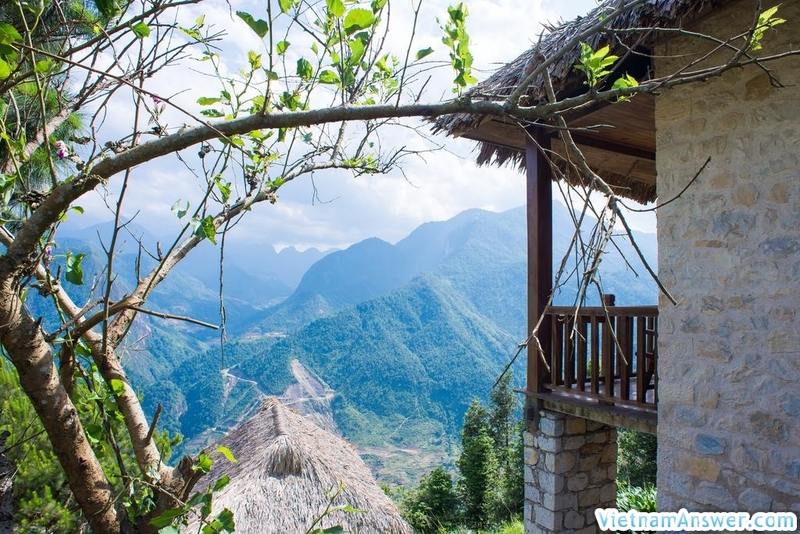 Topas Ecolodge Resort Sapa also offers a fine dining restaurant with a varied menu of local dishes to satisfy your taste buds. 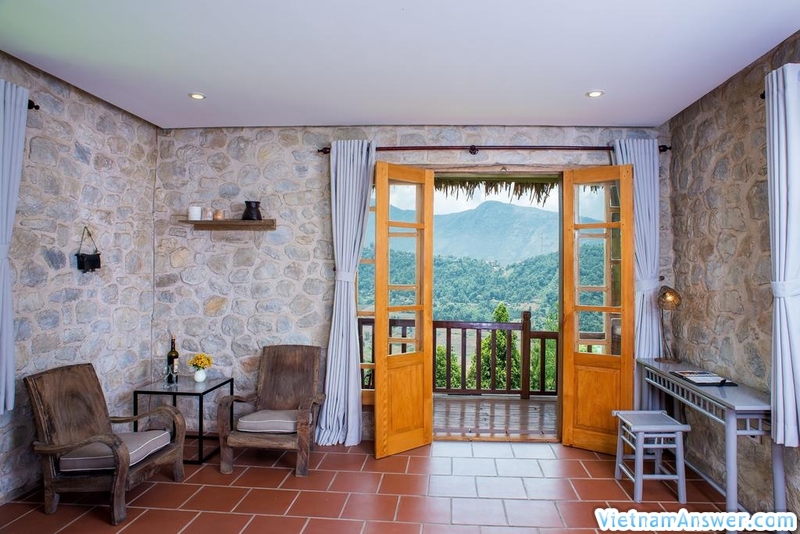 Coming to the restaurant at Topas Ecolodge Sapa, guests will be dining in a very characteristic space, visitors will not only satisfy the taste of delicious dishes, novelty but also especially satisfied with the style of service. 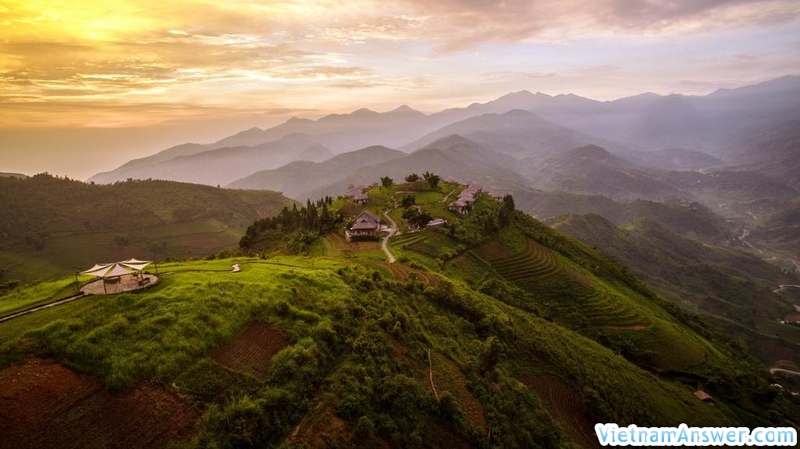 The staff are friendly ethnic people. 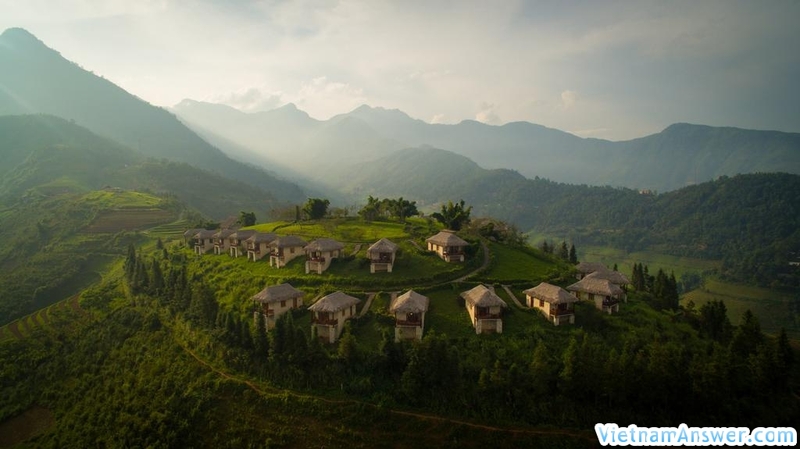 Topas Ecolodge Resort Sapa is also equipped with a wide range of utilities that cater to all your needs including car rental, scheduled shuttle, room service, currency exchange, beach Spacious parking, souvenir shop ... You can rent bikes at the resort and cycle around the hill to see the natural landscape here. 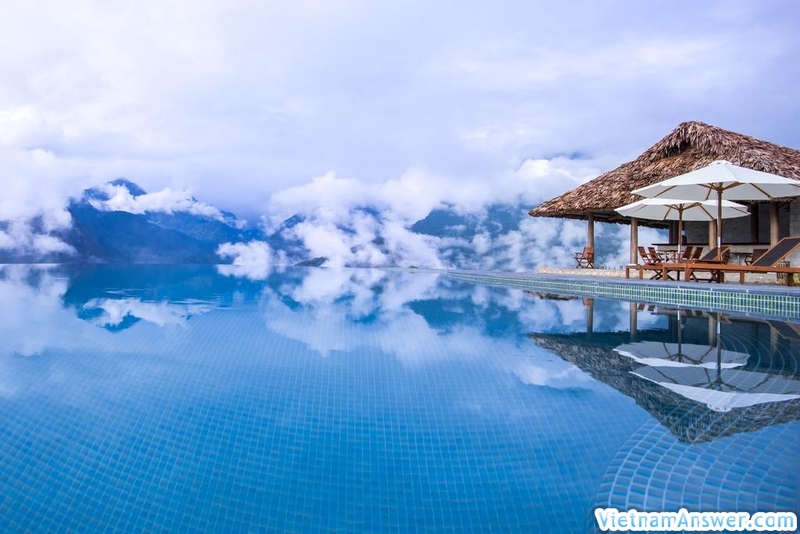 There are many ideal resorts in Sapa but perhaps Topas Ecolodge Resort Sapa is the only tourist resort in Vietnam that has the form of Sapa travel completely away from the means of the civilized world that will bring visitors The value of a "smoke-free" resort is both literal and figurative.